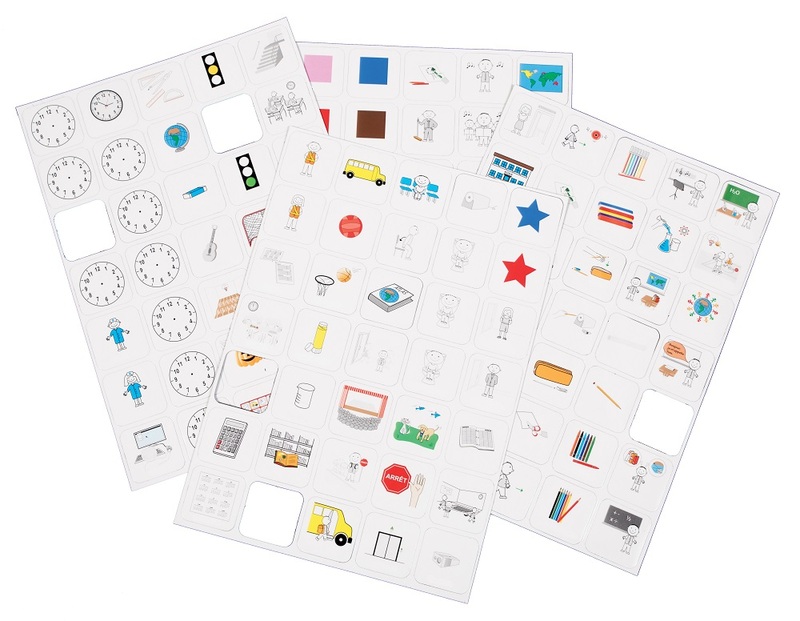 The Essential Magnetic Kit is a simple magnetic tool for planning busy days. 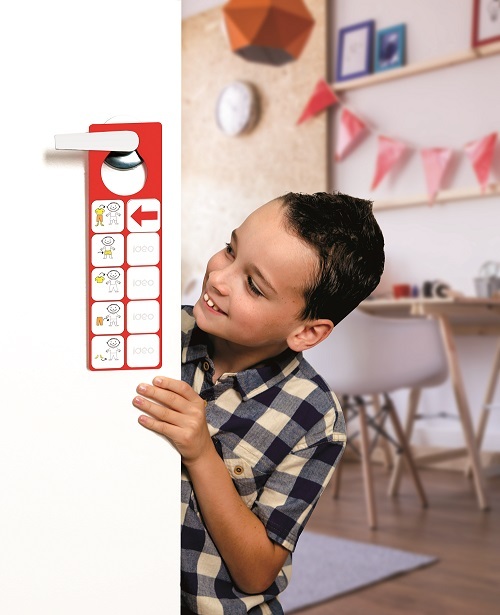 This kit helps your child with daily tasks and challenges, from morning to evening. Busy days get so much easier! 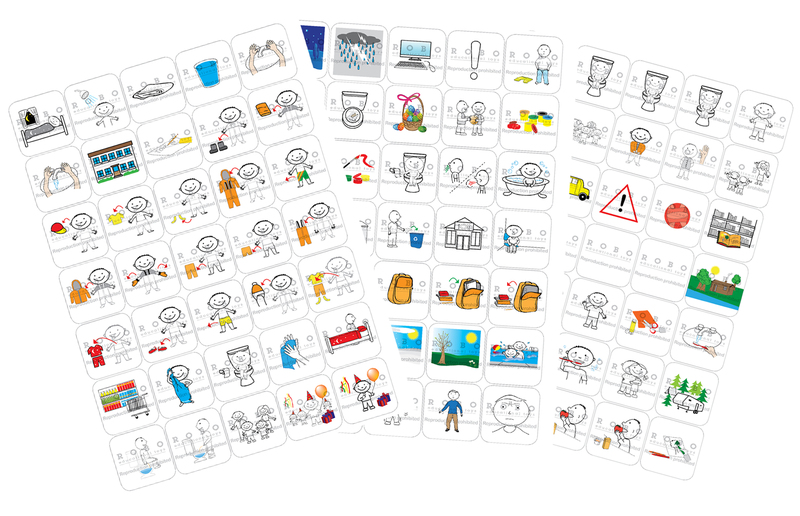 You can create different rituals and social scenarios with the icons from this kit. A social scenario is a representation of a social situation with the purpose of better understanding of situations and helping to develop the ability to social interaction. A ritual is an order of icons, the illustration is linked to each step of a task, social scenario or activity like: taking a bath, brushing your teeth or washing your hands. For example, use the following bathtub ritual icons: go to the bathroom, flush the toilet, take a bath, wash your body, wash your hair, play in bath and dry yourself. Place these icons on the IDEOstatik or door hanger. The arrow icons from this kit, allows you to designate any part of the ritual. This will allow your child to follow the steps necessary to accomplish a task properly. 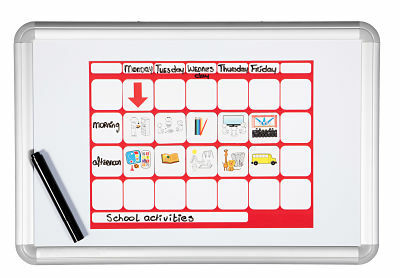 You can personalize the blank icons, describe the door hanger and the IDEOstatik with the Dry Erase marker.